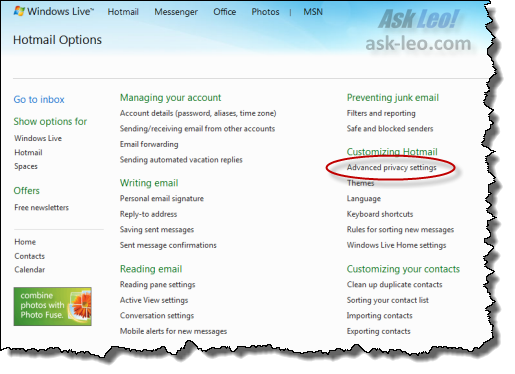 How do I control Windows Live Hotmail's auto-complete? 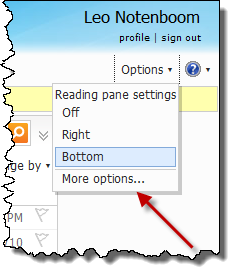 Windows Live Hotmail's auto-complete feature selects from every address you've corresponded with by default. I'll show you how to restrict it some. How do I get Hotmail Live to stop auto completing a sent to name when I type in just the first letter and NEVER added that name to my contacts? I don't use Hotmail that often, but in researching this a little I can see that it could get pretty annoying pretty fast. Especially if you correspond with a lot of people who aren't in your address book. Fortunately, there's a setting for that. We can't turn it off, but we can turn it down a notch. Unfortunately "don't make suggestions" is not currently an option. To turn down the noise, make sure that "Only select people in my contact list" is selected. Click on Save, and you're done. How can I get the old Windows Live Hotmail back? Windows Live Hotmail changes occasionally and typically there's no going back. If that's a problem, my question is: Why are you still using Hotmail? What are Windows Live Hotmail's POP3 and SMTP settings? Microsoft recently, finally, enabled POP3 and SMTP access to Hotmail accounts. I'll walk you through the settings. Another great article! 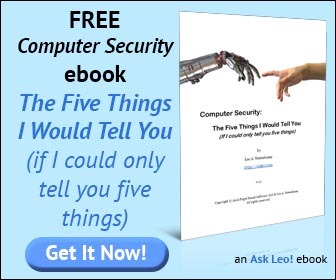 This is an excellent resource for Windows Live users. This feature can be a huge help, but both Internet Explorer users and Windows Live users can have trouble disabling it. This guide makes it easy! I don't use hot mail but don't the suggestions start narrowing themselves down as you type more letters? If so, just ignore them or select it when it gets to the one you want. I have used other mail programs and the hints have never been in the way and sometimes make it much easier to remember all the details of the address I am starting. Thank you very much. This article helped me greatly. This sounded like a great solution but it did not work. I marked "only suggest from my contacts" hit save and check. Bad name still there. I tried logging out and logging in again and still the same. Any other ideas?